But what if the tooth has broken down to the gum line? 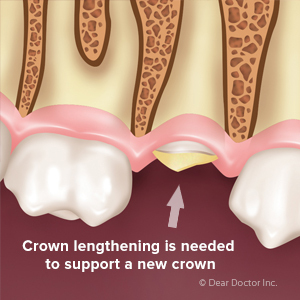 In this case, we would need to perform a common procedure known as crown lengthening to expose more of the tooth. See here for more information on crowns in Toronto, ON.